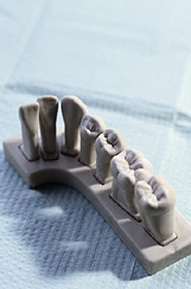 Some sensitivity is common in a new dental restoration. Sensitivity to hot and cold foods and drinks is most common. Avoid extremes in food temperature for several days. Gum sensitivity may occur in the area of a new restoration. Warm salt water rinses are very helpful. Clean the area with extra care. Small pieces of filling materials maybe present in the mouth immediately after the dental appointment. Please do not be concerned if you find a small particle of material in the cheek or under the tongue after the appointment. Your bite may seem different immediately after a new restoration for a day or two. If after 48 hours, you experience discomfort or a bite change that makes it difficult to chew and eat in a normal and comfortable manner, contact the office for instructions. To control minor discomfort in the first several days following a new dental restoration, you may use a non-aspirin containing pain relievers such as ibuprofen (Advil) or Tylenol-as long as you do not have allergic or medical conditions that prevent using these pain relievers.